What Does Bankruptcy Do To Long Term Financial Health Of A Business? 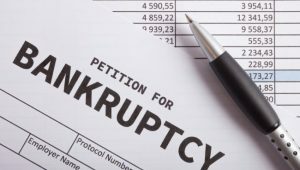 If your business is struggling financially and all efforts to revitalize it have failed, you might be considering filing for bankruptcy. However, the complicated conditions and consequences may be discouraging you from making such a critical decision. What does bankruptcy do? If you are business owner in need of more information on what a bankruptcy entails, here is a run-down of exactly what happens when you file for bankruptcy. Following a bankruptcy discharge, debt collectors will no longer be able to come after you to collect payments. Filing for a chapter 7 in particular would entail that you are the sole proprietor of your business. In this case, your business assets are considered part of your personal assets. As a result, debt collectors would not be able to collect from you or your business. Keeping collectors away is the initial phase in what bankruptcy does for you. It is also likely the most appealing as you would then be free of any harassment you may have been suffering while conducting business. Unsecured loans are the type of loans that do not have liens on them, meaning collectors would not have the right to repossess any of your property if you fail to pay them. Credit card bills, medical bills and car loans are just a few examples of this. If you file for bankruptcy, you can expect all of these loans to disappear. This is a vital aspect of what bankruptcy does. The relief of being free from extraneous payments eliminates the need for stress and gives you the financial stability needed to get your business back on its feet. If the best debt consolidation services do not solve your money problems, this is an incredible benefit. Bankruptcy is not simply a form of loan forgiveness. In order for it take full effect, your remaining assets must be liquidated to pay off your creditors after using all the cash in your traditional or virtual bank accounts. Valued property such as homes, cars, and jewelry can be taken and sold away. You can hire a bankruptcy attorney to write off exemptions for certain properties, but whatever is not exempted will be sold off to your creditors. Once everything of value, is liquidated, the remaining debt is discharged. This is extremely important to note, as you will have to prepare for the loss of properties essential to running your business. To prepare for the aftermath of bankruptcy, you need to be aware that there are certain types of debt that are not going to be discharged. Child support or alimony payments, debts for personal injury or death, debts for criminal restitution cases and certain taxes are not going to be a part of your bankruptcy claim, unlike short term loans. If you are liable for any of these payments, you need to prepare your post-bankruptcy finances thoroughly in order to avoid falling into another hole. Consequently, it is just as important to know what bankruptcy does not do as it is to know what it does. Chapter 13 bankruptcy is different than Chapter 7 in that it can serve to stop a foreclosure on a mortgage. Filing for Chapter 13 can stop foreclosure in its tracks. It also forces your lender to allow you to make up missed payments over the course of your repayment period while continuing to make original monthly payments in a timely manner. In order to be able to file for Chapter 13, you need to be able to show that your future income will be sufficient for this repayment plan. If you are able to, Chapter 13 can stop mortgage foreclosure, which is incredibly helpful for those in debt. People are often discouraged from the idea of filing for bankruptcy due to the stigma it carries. Many see it as a sign of defeat after already experiencing the defeat of being taken advantage of by easy loans. What they need to understand is that bankruptcy was designed specifically for those in need of a fresh start. Once you understand exactly what it is that bankruptcy does for a business owner, you will come to realize the benefits it can have on your present and future life.